Charles Alderton was a Brooklyn-born pharmacist who went to college in England and attended medicine school in Texas. He seems to have lived for a time in Galveston before finding employment as a pharmacist with Waco’s Morrison Drug Store. In fact, records show he was operating a flavor extract business known as Alderton & Co. in Galveston until a fire wiped out the building in early 1885. This may have led him to move to Waco where he began working at Morrison Drug Store. When sales at the store’s soda fountain fell off, Alderton set about the task of creating a new fizzy drink. He tried all sorts of flavors before finally settling on a combination of 23 ingredients. Records show that it was first served to the public on December 1, 1885, beating Coca Cola to the market by a year. Originally, people called the drink “the Waco” but Alderton’s employer, Wade Morrison, renamed it Dr. Pepper. As Dr. Pepper soared in popularity, PM Alderton sold his recipe because he had decided to focus his effort on his medical career and he thought that the soda business simply did not fit that goal. Alderton’s first wife was Lillie Walker. 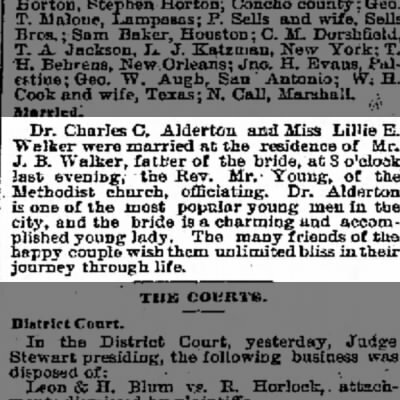 The couple married in October of 1884 and in their Galveston newspaper wedding announcement, it was said that Alderton was one of the most liked men in the city. Brother Alderton was also a member of the Knights of Pythias. His wife was a grand trustee of that organization’s appendant body for women, the Rathbone Sisters. A curious incident occurred in 1892 when a Wacoan named Edward Maddox was walking down the street downtown. As he passed a group of men, his pocket seemed to spontaneously combust and as it burned his skin, he ran to Doc Alderton to save him. Alderton was successful and identified the cause as “vitriol”(an out-dated term for sulfuric acid). The news article about the incident is attached. 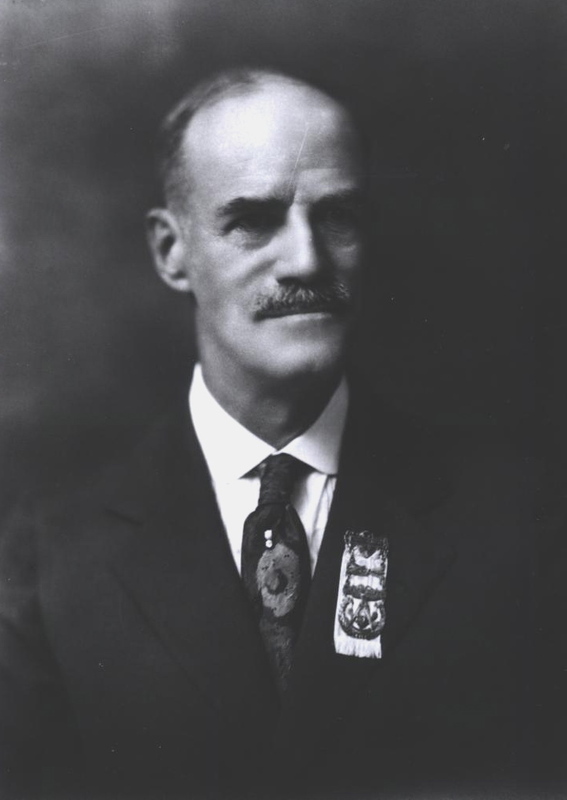 Shortly after serving as Master of Waco Lodge in 1912, Charles Alderton moved to New Orleans. He did not stay long because in 1919, he married his second wife, Emily Coquille, and moved back to Waco. She was a secretary at the Eli Lilly Drug company in New Orleans where Alderton was working and they lived together in Waco for a quarter century until he passed away in 1941. 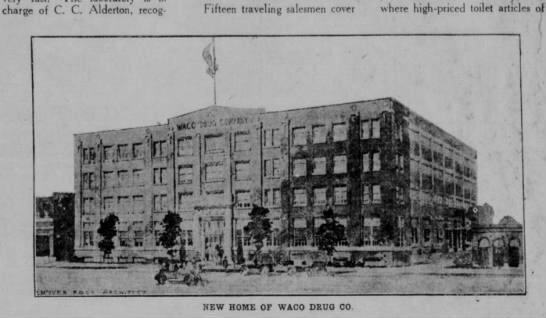 Upon his return to Waco in 1919, Alderton took up work with the Waco Drug Company where he oversaw that company’s laboratory. By this time, Alderton was considered to be “one of the leading chemists in the South.” Dr. Alderton maintained that professional capacity for the remainder of his life. His work took place in the Waco Drug Company’s building at the corner of 5th and Mary. Today, the building is known as the Insurors of Texas Building and is just a stone’s throw away from the Dr Pepper Museum. Waco 92 is proud to have in its possession a questionnaire about Alderton’s life filled out by his second wife. He was generally a rather private man devoted to his efforts as a pharmacist so despite being the inventor one of the most publicly recognized brands in the world, not much is known about him. This makes his items in our archives all the more significant. While many of Waco 92’s leaders from around the turn of the 20th century are recognizable men today, Alderton is the only you can still meet, well sort of. Head over to the Dr Pepper Museum in downtown Waco and you can “meet” the animatronic version of Doc Alderton.